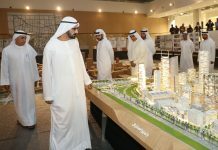 Construction works at the Jebel Ali Bus Depot have been completed and the station, which serves 17 bus routes covering the entire neighbourhood, is set to start operation on July 1, announced Mattar Al Tayer, Chairman of the Board and Executive Director of the Roads and Transport Authority (RTA). 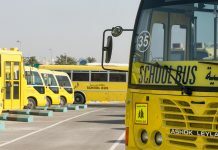 The completion of works in the Jebel Ali Bus Depot brings about a fresh addition to a host of bus depots supporting the daily bus movement at Al Khawaneej, Al Rawiyyah and Al Awir. “The construction works completed under Phase I of the project comprised building of a boundary wall at site and constructing internal roads, bus parking lots, workshops, drivers’ accommodation, public utility (water & electricity) networks and sewerage system. The depot has a total intake of about 300 buses (standard, articulated and double-deckers) and is fitted with 24 bays capable of handling 36 buses at a time to carry out a range of works such as bus washing, cleaning and refueling. 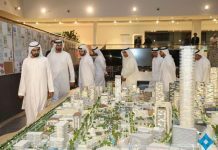 The depot has an office compound to house about 50 staff as well as a residential complex to accommodate about 300 drivers,” stated Al Tayer. 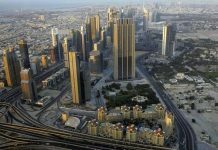 “The project is part of RTA‘s master plan to upgrade mass transportation on buses with the aim of attracting new commuters and hence contributing to easing road congestions. 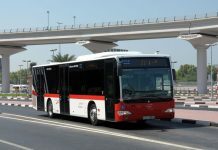 These highly sophisticated buses feature top quality specifications, affordable fare and wide geographical coverage, and as such provide a big boost to the integration of mass transit modes spanning public buses, Dubai Metro and marine modes. 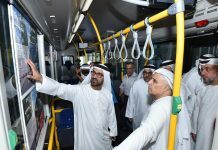 The plan also encompasses expanding the construction of air-conditioned bus shelters besides introducing electronic systems such as the journey planner “Wojhati”, automatic bus management scheme, unified card scheme, and real time passenger information system in addition to “Sharekni” and “Awselni” programmes,” said Al Tayer. 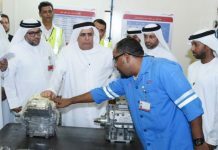 Mattar Al Tayer explained that four new stations have been opened during this month to support daily shuttling service. 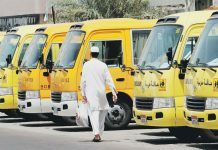 On the first of May, three bus stations have been operated; the first in Karama with a capacity to house 10 parking buses, Nol card selling and recharging machines and bus route network maps. The station has two routes serving the central bus depot in addition to city and inter-city services. The second station is Al Baraha; which can house up to 18 buses and has seven routes covering the surrounding areas. 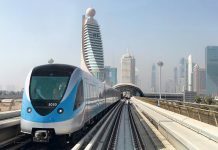 The third is Umm Al Ramool Station, which is located near Emirates Airlines Metro Station and has a space for 12 parked buses, Nol card selling and recharging machines and bus route network maps. 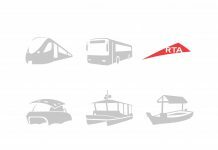 The station serves RTA buses designated to lift Emirates Airline’s employees in addition to Awselni service buses and the metro station feeder routes serving areas in the vicinity of the station. “In the mid of this month RTA operated Al Quoz Bus Station, which has a capacity to house 24 buses and is fitted with Nol card selling and recharging machines and bus route network maps. 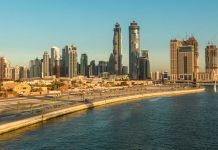 The station serves seven bus routes including city service routes, metro stations feeder service and local routes to serve Al Quoz area, and is also linked with the CBD in Deira and Bur Dubai as well as Al Qusais and Satwa,” said Al Tayer.